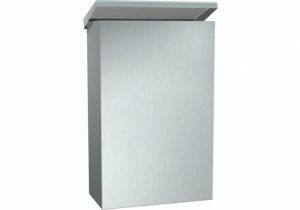 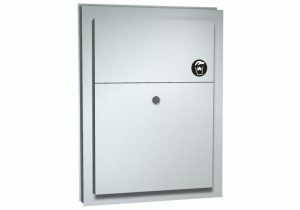 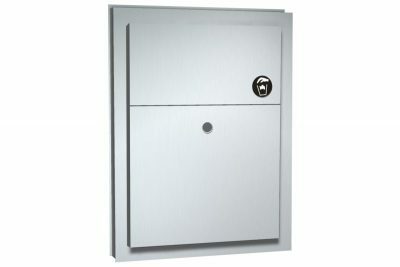 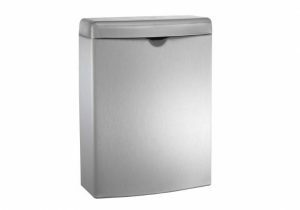 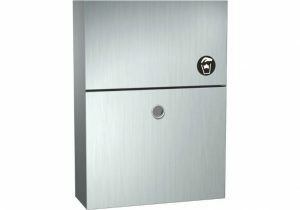 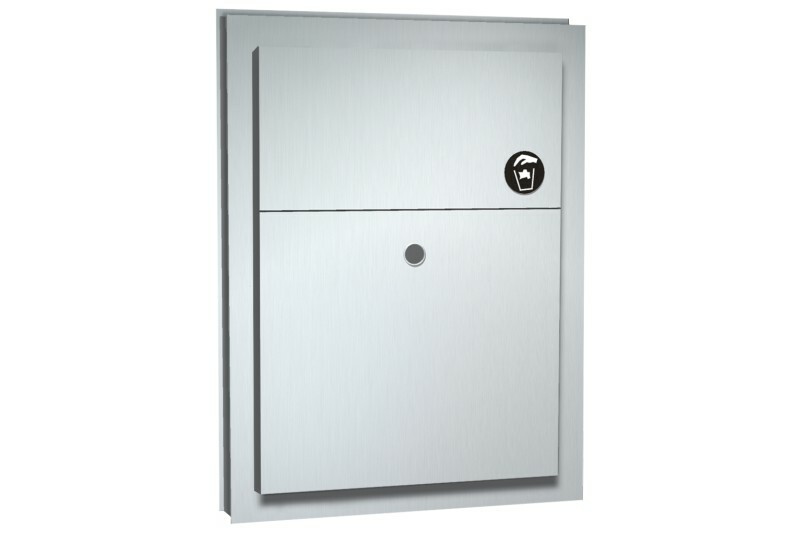 Partition Mounted End Stall Sanitary Napkin Disposal shall hold 1.5 gallon. 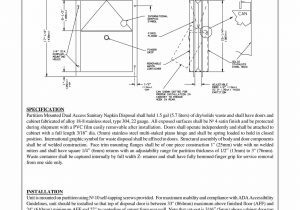 All exposed surfaces shall have No 4 satin finish and be protected during shipment by a PVC film. 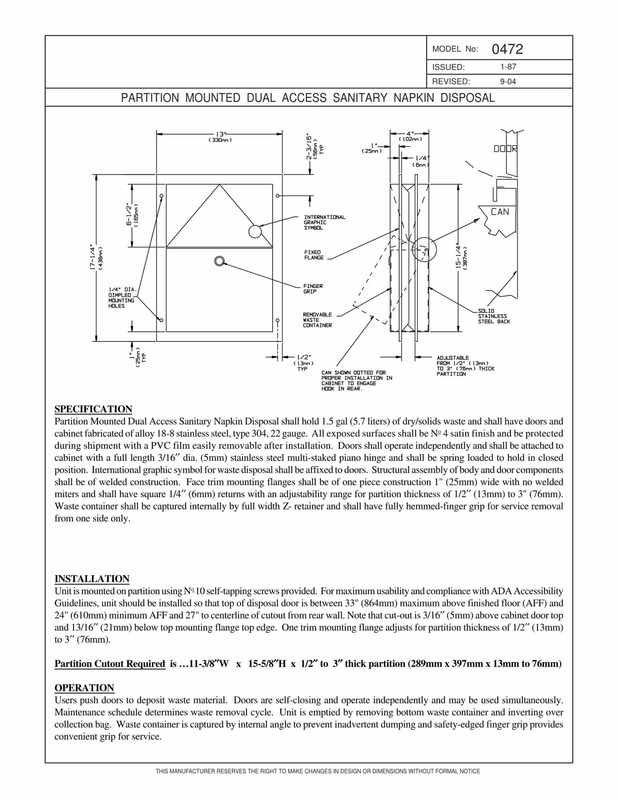 Door shall be spring loaded to hold in closed position. 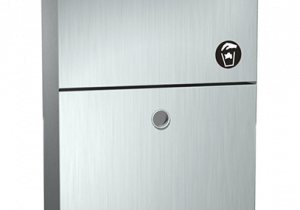 Removable waste container shall be captured internally by full width Ζ- retainer. 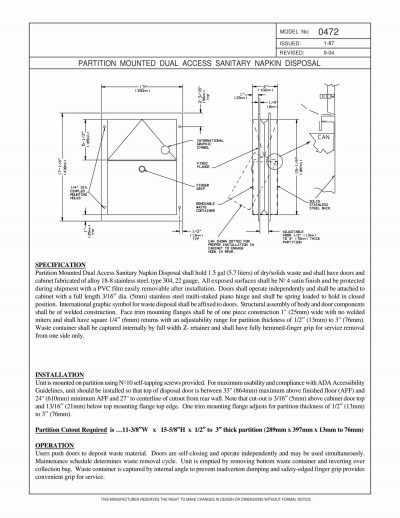 Partition Mounted to service 2 toilets.